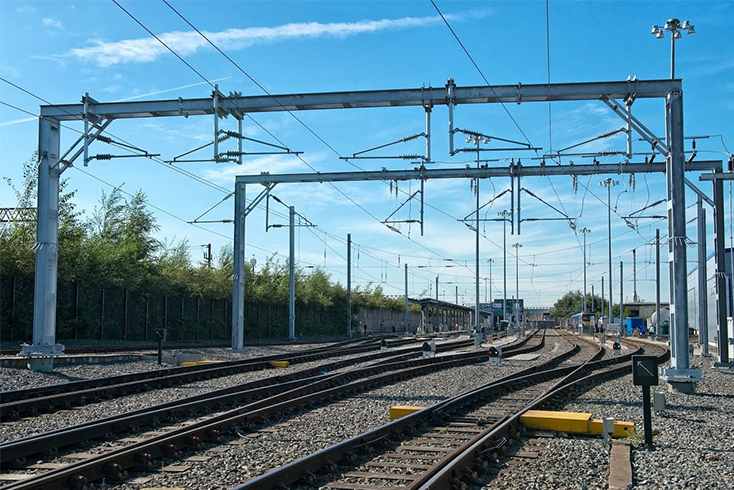 Overhead Electrification is designed on the principle of one or more overhead wires (or rails, particularly in tunnels) situated over rail tracks, raised to a high electrical potential by connection to feeder stations at regular intervals. Yolax Infranergy is among the very few companies in India having end-to-end capabilities in the Railway infrastructure segment. We are one of the leading railway consulting companies in India in Railway Over-Head-Electrification (OHE) segment drawings. Detailed survey of the Railway section for the purpose of Railway Electrification. Feasibility Study for Railway Electrification of Railway Track. Detail Project Report (DPR) and Tender Documents for the Railway Electrification of Railway Track. Project Management Consultancy for construction supervision of Railway Electrification project. Detailed design of Overhead contact system and traction power supply for Railway Electrification. Turnkey execution of Railway electrification projects.